I’ve been wanting to read Bear Town! You should pick it up when you have the chance, at least thus far it’s a great book and I’m really enjoying it. Hopefully the ending doesn’t ruin that. Shame about kill creek and the winter people- they both seem so disappointing. That’s so good that the tiger’s daughter was so brilliant 🙂 I did really like the writing and voice in beartown too. Great wrap up! I’ve had the worst luck with horror books lately I haven’t read anything that blew me away. That’s why I found your review of Horrorstor promising, even if I don’t end up finding it as scary as you I’m hoping I’ll at least be entertained and have fun with it. The Tiger’s Daughter feels like one of those books that is tailor made for me and my interests. Beartown is great thus far, it was slow to start but the tension has really ramped up now and I’m having trouble putting it down. Grats on a productive month! Too bad your horror reads weren’t as good as you’d hoped! Thanks, it wasn’t even just horror, more than half the books I read were just okay, which is always a little disappointing but you can’t read great book s every time. The Tiger’s Daughter sounds absolutely wonderful, world defying romance is the best kind of romance! I was kind of interested in Sometime Atter Midnight cause of the hate-to-love trope, meet cute and music theme, but I’m just like you. I don’t enjoy reading about the nauseatingly rich. 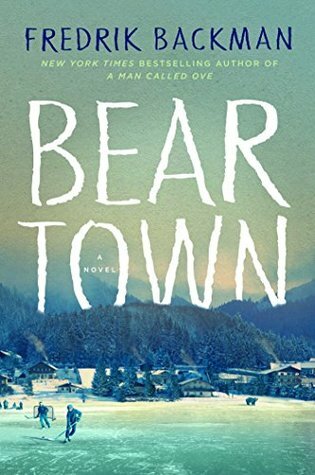 Bear Town seems like one of those books everyone loves. I’ve heard so many great things and from people with such different reading tastes. I’ve had it on my TBR for a while, I should really pick it up soon! I really don’t understand the point of writing from the point of view of millionaires, they aren’t relatable, and I’m constantly aware that real-life millionaires are never good people. I also disliked that in a Little Life while not millionaires most characters where obscenely wealthy and I don’t understand the point, it didn’t seem to be saying anything, certainly not “money doesn’t buy happiness” because with the exception of Jude and maybe JB all others were perfectly happy and their wealth was more like background noise than something the narrative acknowledged — it was more in your face in Sometime After Midnight where the character’s corrupt millionaire father gets a sort of “redemption arc” that about killed me with how contrived it was. I just finished Beartown and cried for a good portion of it, it ended in a hopeful way though, and it made me care so much about certain characters. Which makes me terrified of reading the sequel because I care about some of these people so much. I really loved the Tiger’s Daughter, it’s really focused on the romance, but if you like that kind of epic romance then I think you’ll like it too. I finished Beartown and I loved it, I have no words for how much I loved it, I’m actually scared of picking up the sequel now haha. I finished Beartown now and I loved it too, definitely one of my favourites. But now I’m scared of reading the sequel because I love some of the characters so much, I don’t want anything bad to happen to them (again).